This is my first in a series of posts relating to money saving tips and tricks called Frugal Friday, mostly relating to beauty, fashion or shopping in some way. This first post is going into how to become a mystery shopper. I was really interested in trying to become a mystery shopper around a year ago after a friend told me she did it. It sounded like so much fun, choosing different assignments and getting some money just for reviewing how well a companies service was. To become a mystery shopper I signed up with Market Force and have done many different assignments since over the last year. To sign up you have to complete an initial grammar and spelling test to show that you can complete the assignments and guarantee you aren’t a robot or spam. Once this is completed you are ready to go, you can edit the location and types of assignments you would like to complete. Assignments can be paid or a reimbursement for something bought on a mystery shopper assignment. On Market Force you can be mystery shopper for drinks, food, shops, hotels, gaming or telephone services. I have mostly been a mystery shopper for restaurants, drinks or food on the go services but have also been to quite a clothing stores too. The amount paid doesn’t always cover the entire amount you spend but it makes meals out far cheaper and has made me go and try a lot of new places to eat and drink. You can try to get a loan with no guarantor it can also pay for you to buy an item of your choice from a high street shop, very handy at the moment when everyone is being careful with their cash. To become a mystery shopper you read assignment notes for the tasks you would like to complete and then apply. You choose the date of the task and it will become active. Once your task is completed you fill out a questionnaire about the assignment, log your expenses and wait to be paid from Market Force. I love Market Force and have never had any issue in the time I’ve used them. It helps fund my shopping addictions and once I mentioned it to my boyfriend and sisters they all signed up, so I thought you would enjoy me sharing the knowledge! I don’t know about other mystery shopper companies, how they compare and their reputation but really recommend Market Force for helping save a few pennies when going out or going shopping. 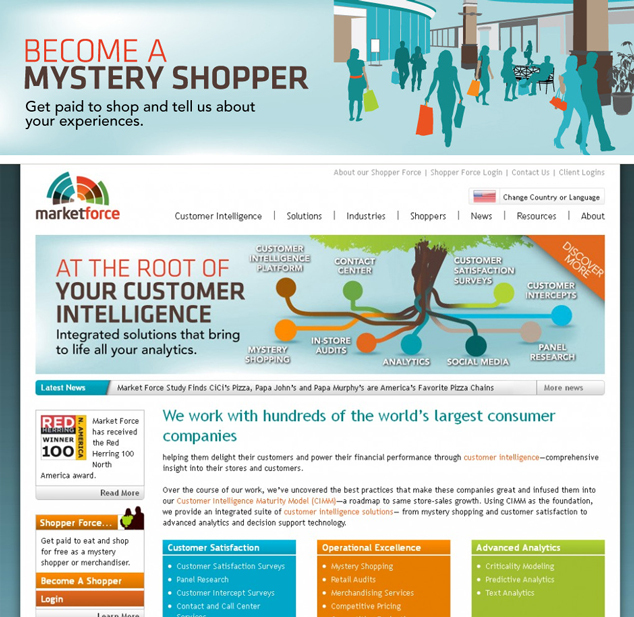 Have you become a Mystery Shopper at Market Force?